The Waitakere City Athletic Club has the use of the all-weather athletics track at the Trusts Stadium. 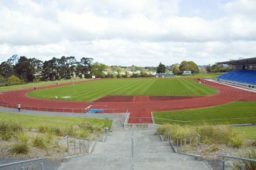 One of the premier track facilities in New Zealand, it has recently been resurfaced and upgraded so that it is in perfect condition. 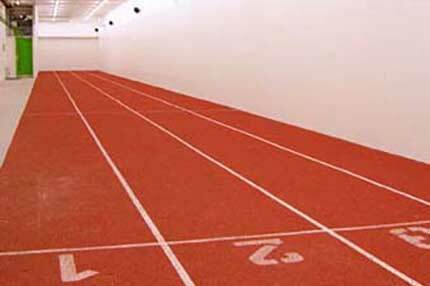 The club a whole host of track and field equipment which is maintained to the highest standard. 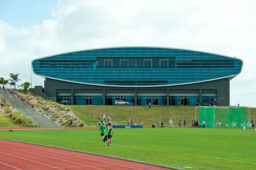 Within the Trusts Stadium athletes have access to a 4 lane 60 metre indoor track, a strength and development weights room and can share the clubrooms bar, kitchen and dining area. 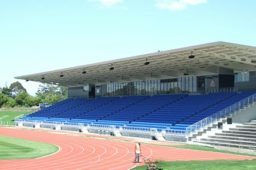 The Douglas Track and Field is up to date with full electronic timing facilities in place and outdoor floodlighting for night events. The Trusts Stadium’s main arena offers a 4900m2 pillar free space which is ideal for a broad range of large scale events, from trade shows and conventions to music concerts, corporate dinners and international sports events. This makes the size and versatility of this space New Zealand’s ultimate events and entertainment venue. 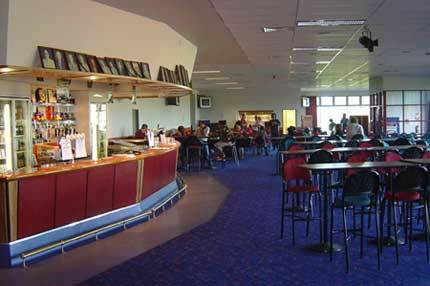 The main arena is 38m wide and 125m long (4902m2). 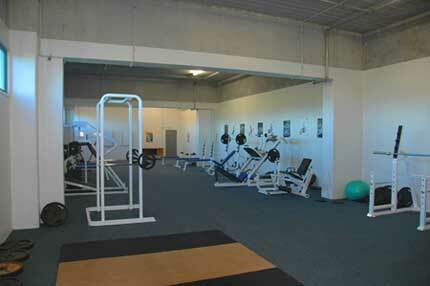 The Sports Courts consist of 6 basketball, 6 netball, 8 volleyball and 12 badminton. There are show court facilities for basketball, netball, volleyball, badminton, tennis, squash and many other sports events and exhibitions. The total installed seating in the stadium is 4901. The Stadium has 382 sealed car parks on-site. There are an additional 1500 car parks within an easy walk of the stadium.